How many events did you go to since the start of the year? How many concerts, gigs, and festivals are you planning to attend during summer with your close friends, or just by yourself so you’d get to experience the music in peace? Well, for you to have access to these performances, you’re going to need tickets. 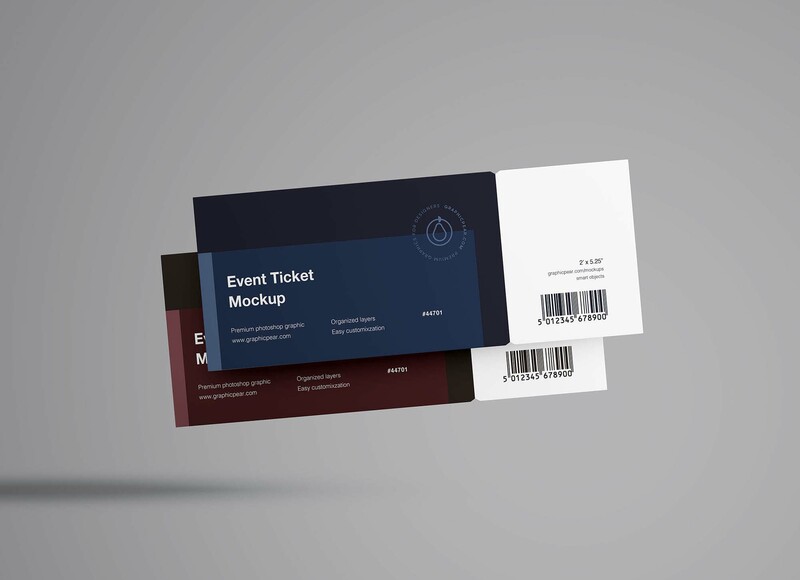 And what better way to obtain amazing looking tickets than to showcase them using this new floating tickets mockup. 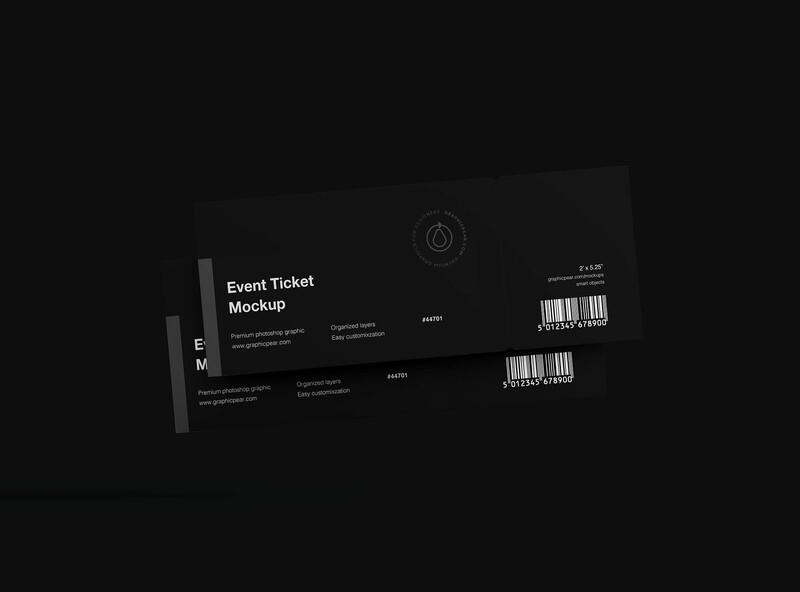 Provided by Graphic Pear, the PSD mockup presents 2 tickets, one set behind the other in a manner that allows your viewers to see your designs from one side. The template has a resolution of 5400 x 4000 pixels (300 dpi) which, in addition to the smart objects, the organized layers and the adjustable ground shadow, make the editing process a piece of cake.